He came here to retire or to find what to do next or sit for a bit the decision hadn’t been made. One hind leg had an old wound that kept opening up and he was sore on the other three legs. And then he came here to the herd. Bigger than anyone here my first thought upon seeing him was “I hope you are well mannered or this won’t be good”. And well mannered he was. Leo was his name and we came to find out how gentle he was. If he was doing something he wasn’t supposed to like getting ready to bother another horse or leaning on a fence I could yell “Leo!” from as far as he could hear me and he’d stop what he was doing. He fit in nicely with the mares but not so well with the geldings. Sampson a part thoroughbred gelding living here seemed to be the horse Leo wanted to move around the most. Sampson was almost recovered from an old hock injury also and the joint was stiff almost locked. Interestingly enough Leo moving Sampson really helped Sampson’s leg get more limber and the flexion he needed returned. So that was the first “gift” from the Leo visit. 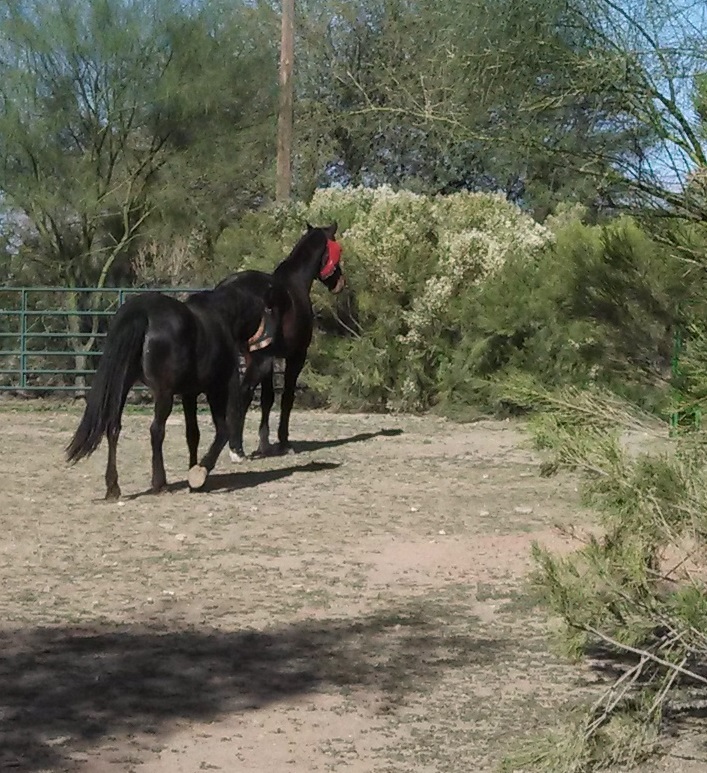 With the two horses moving over various terrains and around acres of ground they both got more sound. The downside was there was always movement. The herd never really “settled”. After about seven months it was decided he was ready for a new home and owner. An amazing lady appeared after an internet search and since her own horse had died she was looking for a new horse friend. 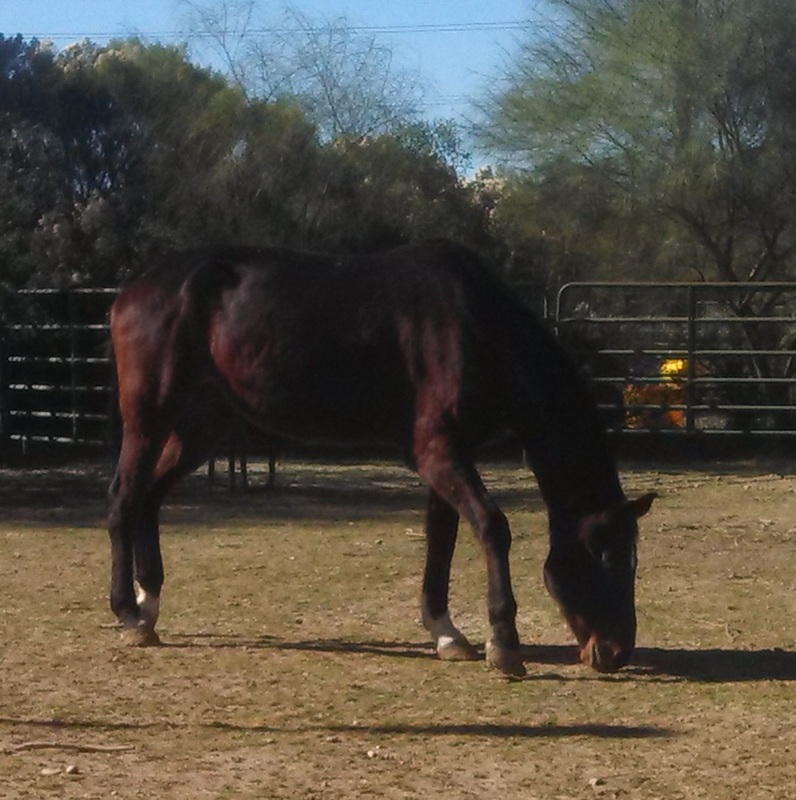 She had health challenges and horse time was greatly needed. The two met and it was love at first sight on her part and he appeared to feel the same. So it was decided she liked him and he liked her, he would move to his new home in a few days. In Leo’s time here he had made one closest friend in Jade, a part Appaloosa mare who ate side by side with him daily. Another lesson was in store for me in the “Leo leaving” process. In his time here Leo and Jade spent many days wandering the pasture and she would go back and visit her original herd members (Sampson, Bella and Sally) but then go back to Leo. The day before Leo was to leave I watched as he walked over to Jade. He led her to the back pasture him walking slowly her following right behind but the gate was closed. The two waited patiently at that gate looking back at me with that “open please” look until I could get out there and open it for them. Opening the gate and standing back it was amazing to watch the two wander out to their favorite grazing spot alone and serene. It seemed as if he was taking her for the “last quiet time together”. To my surprise none of the herd followed as they usually do. They left Leo and Jade alone and the two were finished grazing about an hour later they wandered back in. The next morning Leo was loaded up and taken to his new happy home and Jade never looked for him or called for him. 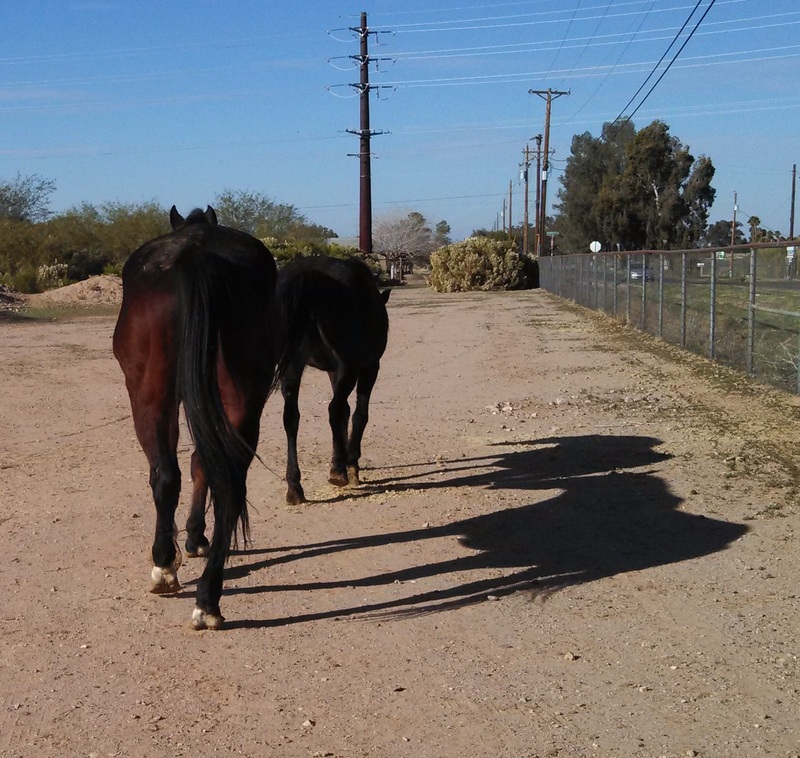 It appeared that whatever their walk was it had settled the “goodbye” stress that can happen when horse friends separate from one another. I say “appears” as it was an observation only and another observation was the first, second and third day that he was gone the geldings were still not sure he was gone. It was like they thought he would jump out from behind a bush or tree. When they decided he really was gone the herd completely relaxed and I noticed many of them getting a “nap”. So Leo would leave and interestingly enough a second “gift” surfaced. It seems the herd had had enough of the constant movement, constant being on guard, constant shuffle and now they all relaxed big time. I thought it might be for just the first few days but the “attitude adjustment” has continued to this day. This entry was posted in Uncategorized and tagged animal, attitude, barn, behavior, Deb, gelding, healing, herd, horse, jade, lesson, mare, ranch, Sally, sampson. Bookmark the permalink.